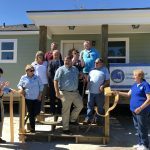 Corpus Christi (KIII News) — The Coastal Bend Disaster Recovery Group built a house from the bottom up for a man who lost everything during Hurricane Harvey. The group is trying to get as many people back into their homes before the holidays. After the storm, Juan Gutierrez was forced to live in a shed in his backyard. He never imagined that just over a year later, he’d have a brand new home. Gutierrez said it all started with a phone call from the Coastal Bend Disaster Recovery Group. He said he originally thought it was a prank call. “I said, ‘It’s not funny. It really isn’t,’ and he said, ‘No, no, no, I’ll be there,’ and he went inside the house and looked and said, ‘We’re going to do what we can to help you, ok? '” Gutierrez said. And that’s exactly what they did. 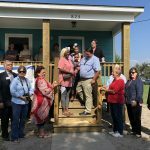 Gutierrez’s home for over 50 years was beyond repair and had to be demolished, but when the recovery group rebuilt the home they made sure it was sturdy. Gutierrez said he doesn’t know how he’ll get use to all the space in his new house, but he is incredibly thankful. 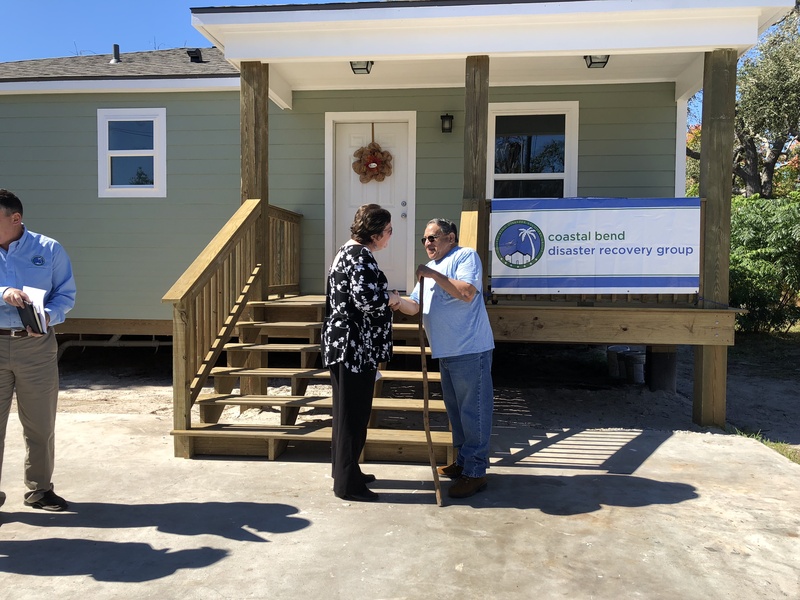 The Coastal Bend Disaster Recovery Group hopes to have six more homes completed before Thanksgiving.